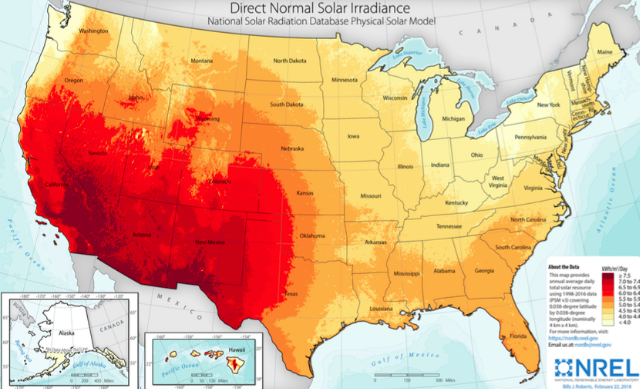 First, Texas has a substantial solar resource, with irradiance especially high in the western side of the state. It ranks 6th among states, with an average solar capacity factor of about 21.7%. 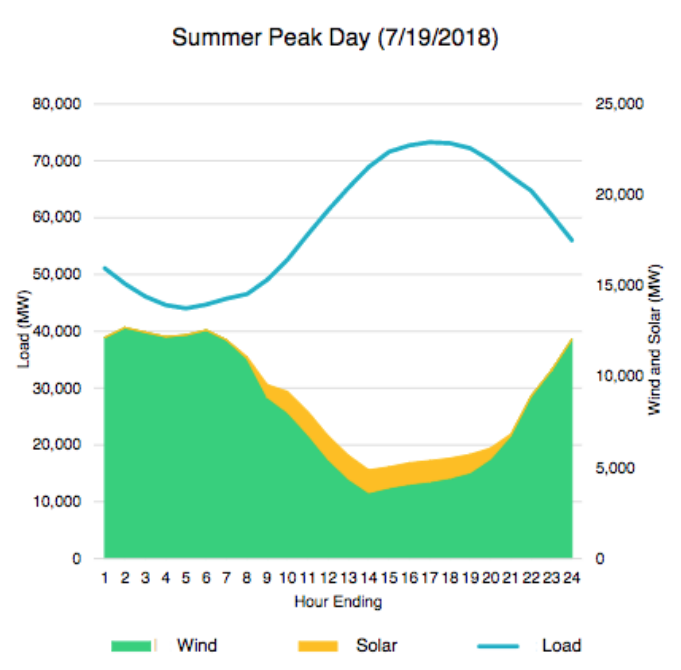 Second, it is highly correlative with peak Texas power demand and the higher-priced hours of the day. As reserve margins decline, power prices are likely to increase, which would be a windfall for solar (oops, another wind reference). Eventually, if solar is overbuilt - as has been the case in California - new additions could push prices down. But that did not occur in the California market until solar reached about 10% market penetration. In a roughly 80,000 MW system, that’s a problem for the future. Third, it is relatively negatively correlated to the state’s wind output. Which means it will fit nicely into some of the existing transmission infrastructure for wind that’s under-utilized during the daylight hours, but called upon at night when the wind blows. The following ERCOT graphics show the where and when of the interconnection requests and projected growth. As is evident from the map, there is a significant concentration in West Texas, and some of it will have access to the CREZ transmission lines that have already been built out. It’s also clear from ERCOTs planned capacity chart (solar is in yellow, wind in green), that there are numerous projects requesting interconnection in just the next two years. Not all will be built, but many will make it across the finish line. There will be some huge projects in the coming mix, including SunPower’s 750 MW Texas Solar Nova” undertaking in Kent County and Coronal Energy’s 600 MW “Anson Solar” array in Jones County. Also the world’s largest (yup, this is Texas) solar-plus-storage project – sized at 495 MW of solar and 495 MW of storage - is being proposed by developer Intersect Power for Borden County.